It is with great sadness the family announce the passing of Leslie at the age of 99. 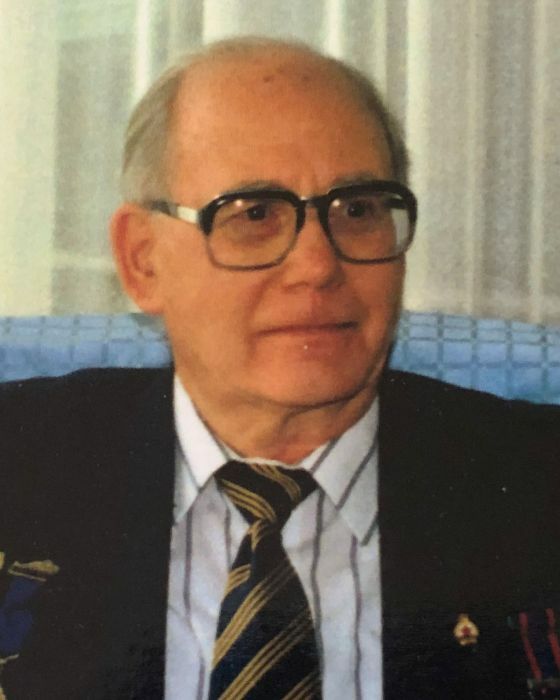 He will be lovingly remembered by his daughter, Jeanette (Tony); granddaughters, Patty, Kathy; great grandchildren; and great, great grandsons; numerous nieces and nephews; sister, Beth, and brother, Sonny. Les was predeceased by his wife, Jay; and sister, Lorraine. Leslie was one of the founding members of the Mulhurst Legion #246 and was a loyal life member. Les was an avid gardener, and took great pride in his flower and vegetable garden. He worked as a Laboratory Technician for Texaco/Imperial Oil at the Bonny Glen gas plant until his retirement. He will be missed by his friends and neighbours. Many thanks to the staff at Leduc Extendicare. According to his wishes no funeral or memorial services will be held. In memory of Les, donations may be made to the Alberta Heart and Stroke Foundation.